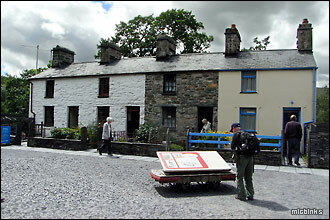 ...phew! 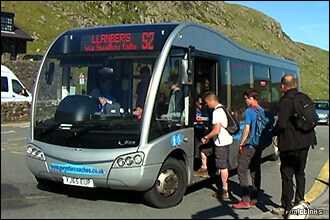 So back at Pen-y-Pass exhausted, aching and knackered after our day on Snowdon, we boarded the Sherpa bus looking forward to a well-earned pint which we can report definitely didn't touch the sides! 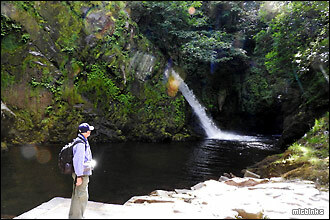 ...mountain stream we arrived at the impressive Ceunant Mawr Waterfall cascading down 30m (100 ft) into a small dammed plunge pool. 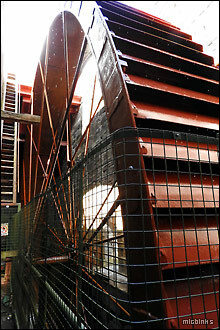 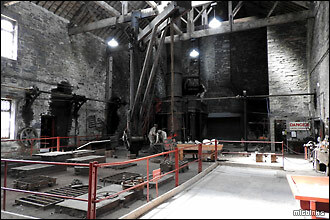 ...this is the massive Victorian waterwheel that powered the machinery to produce roof slates; the largest in Britain at 15.4 metres diameter. 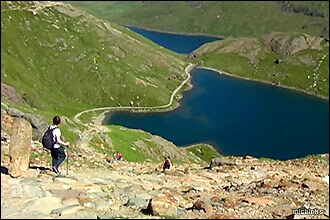 Water was piped down cast iron pipes from Snowdon's slopes. 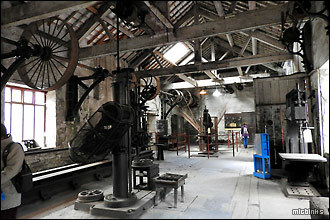 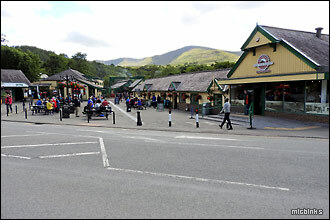 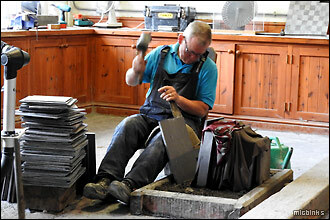 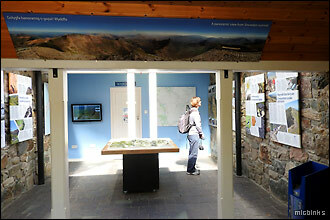 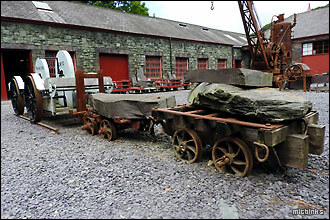 We found Snowdonia's National Slate Museum in Llanberis a very worthwhile visit. 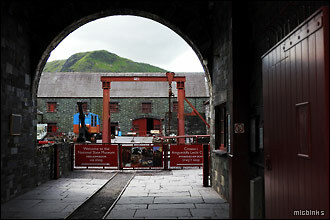 We haven't shown everything at the museum; be sure to view Una, the 1905 industrial steam engine, the works canteen and even the visitors café! 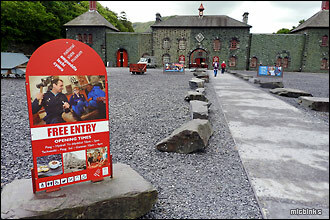 Entry is free but the adjacent car park was £4 a day on our visit. 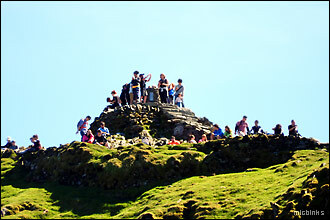 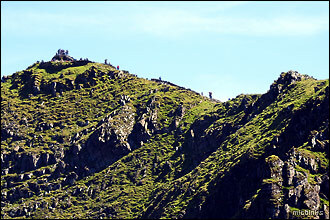 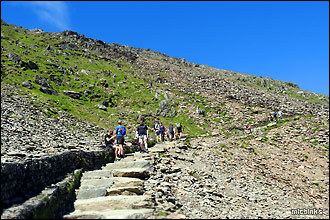 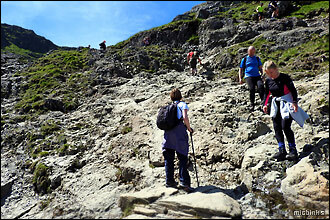 If attempting an ascent of Snowdon be warned it's a very popular mountain! 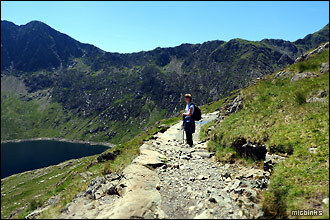 Go equipped for all weathers as it can change rapidly as we found out on a previous 2001 Snowdon ascent. 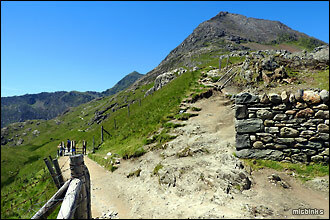 In fact, Crib Goch is the wettest spot in the UK! 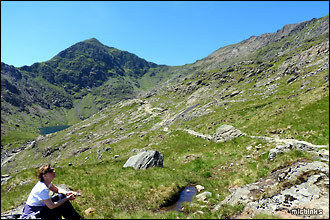 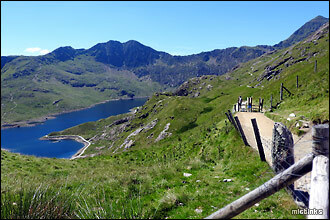 There's a number of different trails apart from the Pyg and Miners' tracks we used, or take a ride up on the Snowdon Mountain Railway. 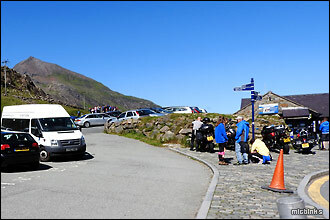 The Snowdon Sherpa bus service cost us £2 per journey and connects Pen-y-Pass to many popular Snowdonia towns. 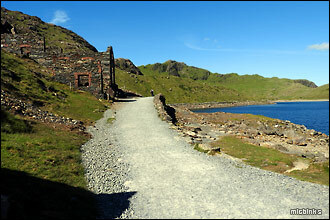 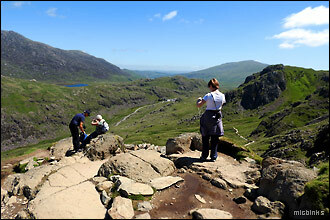 To find out more about the above places check out our UK tourism resources. 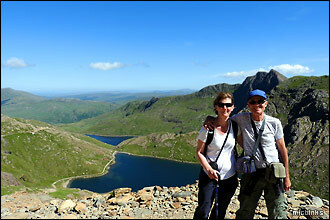 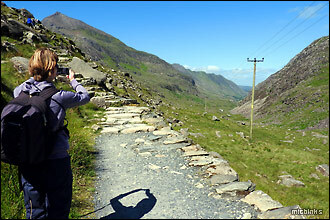 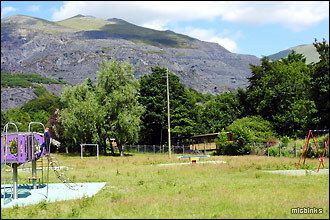 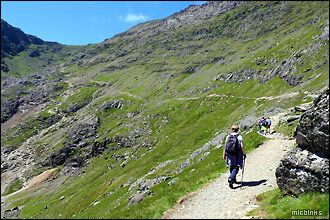 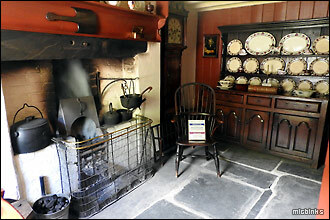 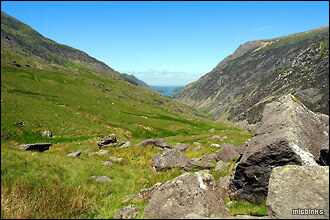 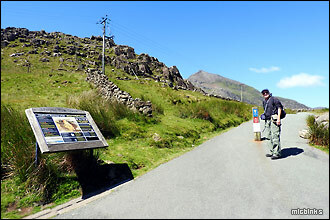 We've been along Snowdon's Miners' trail previously and also in North Wales visited Betws-y-coed and Llangollen.